The story of salmon takes readers on a culinary journey from the coast of Alaska to the rivers of Scotland. 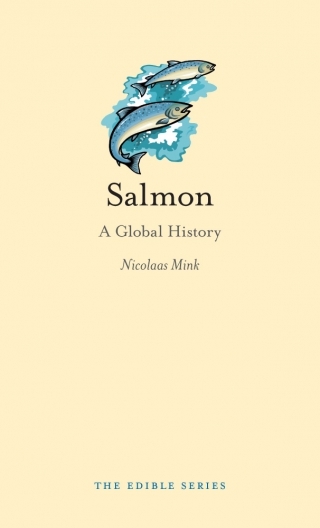 Salmon: A Global History traces salmon’s history from the earliest known records to the present, telling the story of how the salmon was transformed from an abundant fish found seasonally along coastal regions to a mass-produced canned food and a highly prized culinary delight. Rich in omega-3 fatty acids, cheap and widely available, salmon is often listed as an essential part of any diet. A delicious and versatile fish, it can be eaten raw in sashimi, cooked in various ways or cured by smoking, salting or burial. But while salmon is enjoyed all over the globe, it also swims at the centre of controversy, with climate change and loss of freshwater habitats threatening wild salmon populations, and the ecological and health impacts of intense salmon farming under fire. Nicolaas Mink is Urban Sustainable Foods Fellow at Butler University, Indianapolis.